Klezmer clarinet is a style of clarinet playing that is part of the distinct style of Jewish music known as Klezmer. Its distinctive sound based on the 1st, 4th and 5th modes of the harmonic minor scale, Klezmer music originated in the Jewish villages and ghettos of Eastern Europe to spread across the world. The clarinet was incorporated into Klezmer music in the second half of the nineteenth century, introduced by Jewish musicians from military bands. 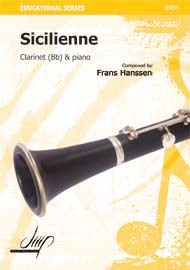 The clarinet tone fit well with the other instruments of Klezmer bands and was soon a regular feature. The clarinet usually plays the lead part (melody) in Klezmer bands. 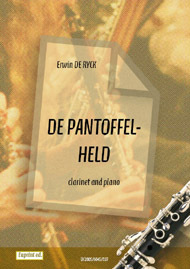 One of the acknowledged great Klezmer clarinetists was Naftule Brandwein. Often credited with shaping the Klezmer scene in America in the early 20th century, Brandwein had a brash and outgoing playing style, and was sometimes accused of putting the showmanship ahead of the clarinet. Not living long enough to witness the Klezmer revival of the 1980s, Brandwein still had a great influence on modern Klezmer musicians off all types, not just clarinetists. One of the most famous contemporary Klezmer clarinetists is Margot Leverett, who studied under another great clarinetist, Sid Beckerman. She is also one of a number of Klezmer clarinetists who is experimenting with combining the sounds of Klezmer with other musical genres, in her case fusing Klezmer and bluegrass. 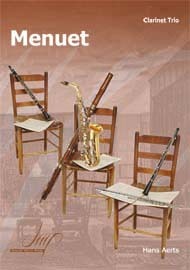 As with many clarinet players specializing in Klezmer, Leverett is based in the United States, though some European players are starting to emerge on the performance circuit, as well as many players who continue to concentrate on traditional ceremonies such as weddings and family parties.